School Kits order forms were sent home with students last week and the order forms are due back on May 18th. 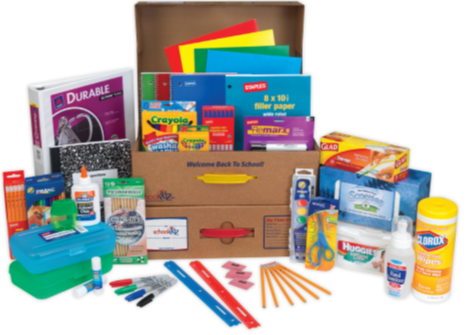 By ordering through School Kits, all supplies will be delivered to your student on the first day of school next year and you will not have to do any school supply shopping in August. Please contact Mrs. Percival if you have any questions about ordering School Kits.